Update: For most recent new store information, click here. Forsyth is one of the fastest growing counties right now. And that means lots of new neighborhoods, families, and businesses. 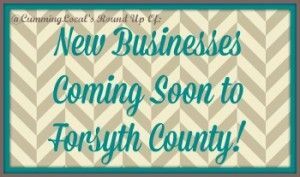 Lately, we keep hearing about all these new businesses coming soon to Forsyth County. So we thought it would be a great idea to list out all the ones we have heard of! Below is our list organized by area of town. And remember all of these are ones we have heard of – that doesn’t mean it’s 100% going to come to Forsyth. If there was an article online, I’ve linked to it. 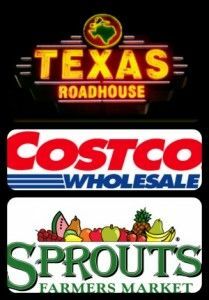 All of these sounds great….still holding out for a Trader Joe’s or Whole Foods! Sprout – For most recent Grand Opening information, click here. For updated Restaurant news, I suggest following Roots in Alpharetta – he does a great job keeping up with new & recently announced, local openings. Do you know of any other new businesses? Please let us know! A Farmers Market is SO desperately needed!. Not sure what happened to the Georgia Farmers Market that was supposed to open near the bowling alley.